As one of the first Europeans to spot Jecko Siompo’s eclectic work I remember watching his In Front of Papua as it was performed at the opening of Teater Salihara, South Jakarta in 2008. This exhilarating 20 minute performance, created in 2005 was constructed with dynamic live music and executed by a group of ritually painted and barely dressed Papua dancers. The speed of the performance, the energy and the fun as well as the original and spontaneous movement vocabulary are enjoyable to watch, appear genuine and accessible. The eccentric interpretation of Stone Age Papua rituals, marsupial gestures and hip hop astounds, even if you only describe it in words. His work radiates a high creativity level and entertains in a light and fresh way. There are continuous surprises and moments to smile. No pretention. We don’t really see traditional dance in his work but the spirit and essence of the Papua aboriginals comes through. We perceive forward-moving warriors, ready to attack, and leaping, crawling bush creatures all brought to confusion in their confrontation and struggle with big modern city life. Randomly, absurd scenes seem to alternate non-stop. It’s the world and the dilemmas of Jecko himself, having made the time leap from Irian Jaya to Jakarta. The border of urban space and jungle territory gets blurred. Jecko named his cocktail approach Animal Pop. Primitivism and modernity seem to connect in it. 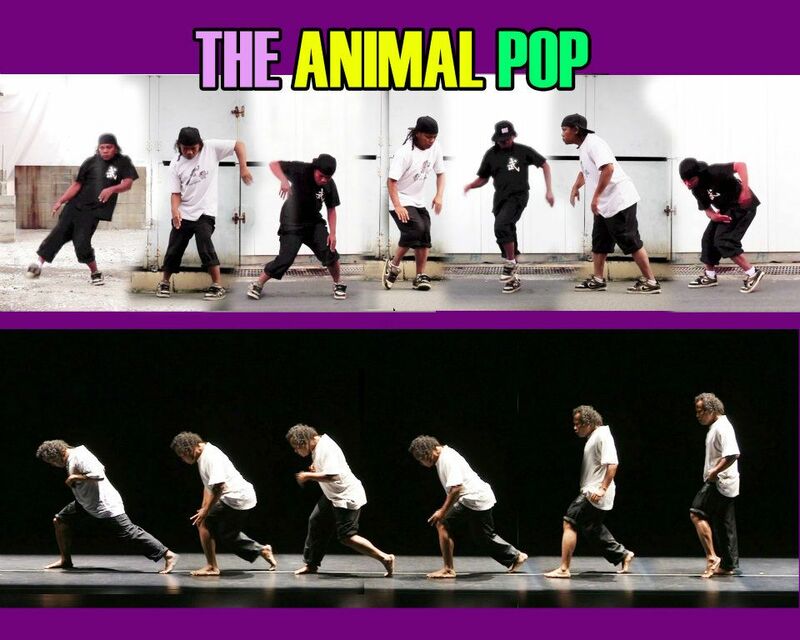 Break dance and kangaroo, lizard and rabbit style sequences merge. It ends in a powerful and frequently hilarious, cacophonous soup. Absurd dialogues between underground dwellers from the big city and the jungle. A huge contrast to the ‘halus’ (refined) image the world has known hitherto from the Indonesian performing arts. Javanese slow speed court dances and Balinese more up tempo choreographies so far have ruled the archipelago’s identity and convinced audiences globally of the existence of a very subtle but also aristocratic, somewhat static, ritualized and serious tradition. Jecko’s work first appeared in Europe at Hamburg’s Kampnagel, late winter, early 2010. Terima Kost, a big production. I witnessed the three fully booked German shows with cheering audiences and consisting of different generations. Further invitations to European stages have followed since. Noorderzon, Groningen, Netherlands, Spektakel am See, Zurich, Switzerland, HAU, Berlin and Australia. I followed Jecko and his group intensively for many years as I was involved in booking them to tour European theatres at the end of 2010. Sadly this tour had to be cancelled at the last moment. Choreographer and dancer Jeck Kurniawan Siompo Pui doesn’t know exactly when he was born. According to him his passport does not record the right year. Was it in 1975, 1976 or 1977? Jecko himself believes he was born in Jayapura in Papua. The world renowned Indonesian dance scholar and Jecko’s former teacher Pak Sal Murgiyanto however, claims Jecko to be born in Ambon, Moluccas, East Indonesia, in 1975. He states that Jecko’s father was a police officer of North Moluccan and Biak-Numfor Irianese descent and Jecko’s mother carrying West Javanese and South Sulawesian blood. Siompo’s parents moved to Irian Jaya’s capital, Jayapura (Port Numbay) in 1977 where Jecko was raised as the fourth child. In this Austronesian region he moved residence from hinterland (Wamena) to coastal areas (Fak Fak) an area rich in exotic natural wildlife. He grew up with Irianese folklore as well as with modern pop and disco. A gifted, natural improviser, he loved playing the guitar and while visiting Jakarta on a holiday, (seven hours away by plane), decided to try his luck as a music student at Jakarta’s Higher Institute of the Arts (IKJ). After a couple of months he was dismissed from the music department because apparently he couldn’t read musical notation. But he showed creative genius and determination by deciding instantly to audition and apply for IKJ’s dance department instead in 1994. Maria Darmaningsih and Nungki Kusumastuti, IKJ’s notable dance teachers and Javanese court dance principals admitted the young adolescent. 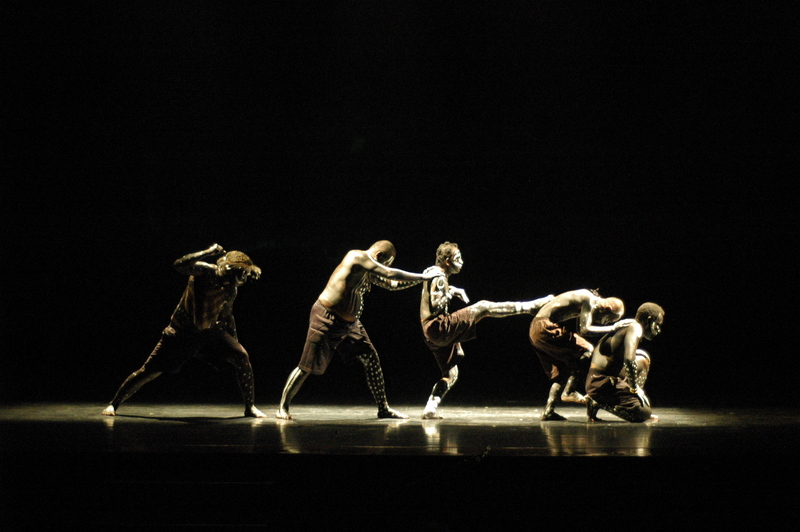 Subsequently during four years, Jecko was the only Papuan student in this national academy of dance. He learned a variety of Indonesian ethnic dance forms and soon started choreographing his own performances which led him to winning the first prize in a national choreography competition – the start of a career in the performing arts which caused his name to buzz far beyond the Indonesian horizon. Watching MTV Hip Hop routines made it clear to him that Papua tribal dances originate from the same earth bound root. 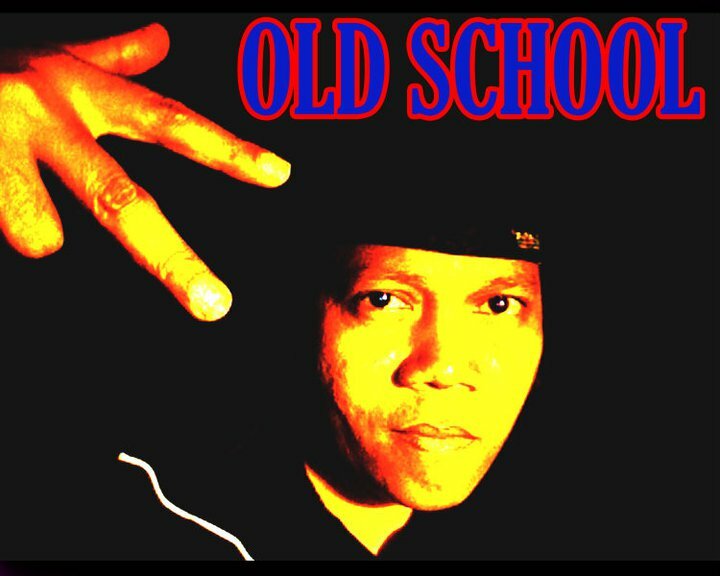 It convinced him that there must be a link between Irian Jaya and the catchy Afro Urban Dance from the US ‘Hoods. In 1999 Jecko was invited to the Bates Dance Festival in Portland, USA, on which occasion he picked up Hip Hop from B-Boys in New York. Ever since, street dance has remained part of his choreography. Jecko contemporized and popularized the Asian dance stages with his infectious tropical gonzo. Indonesian, Singaporean, Thai, Cambodian, Korean and Japanese audiences loved his shows – in particular young people, as Jecko connects well to the worldwide younger generation who were brought up with urban dance on TV. Film director Garin Nugroho invited him to choreograph and perform in his films Opera Jawa (2006) and Generasi Biru (2009). Film director Riri Riza involved him in his Indonesian box office hit Laskar Pelangi (2008). He continues: ‘I always look for what is behind the movement. Movement is just technique. The intensity gives it meaning, conviction. I contrast the big city with the jungle. I look at the city with its traffic jams as being a jungle and the jungle is in essence like a metropolis too, where we can get lost and become afraid – a place where we are challenged to behave like warriors. In my view everything is contemporary dance. New people dancing old steps. I create something new, but inspired by tradition. I prefer to be a choreographer to a dancer because I love to think. Everything is dance. Surf for more info about Jecko Siompo and his group Jecko’s dance or for bookings to Kantorpos.nl. Jecko’s most recent production We Came FromThe East, a work including two German Hip Hop dancers can be seen in the Netherlands during the Tong Tong Fair in The Hague, upcoming May.